It is a no-brainer that celebrity memoirs—or their wisdom on beauty, fitness and wellness—make business sense for publishers. In the last few years, following international trends, India has seen a proliferation of such titles by Bollywood stars. Karan Johar and Soha Ali Khan created a stir with their memoirs, while Priyanka Chopra and Lisa Ray are coming up with their stories soon. It’s quite another matter though when a celebrity decides to try their hand at fiction. Once again, Hollywood has shown the way, with Ethan Hawke and Tom Hanks establishing themselves as fiction writers. In India, actor-turned-entrepreneur Twinkle Khanna honed her skills as a columnist, before publishing a volume of stories and recently a novel. Her quick wit, keen ear for dialogue and ability to lend complexity to her plots make her books easy to enjoy. 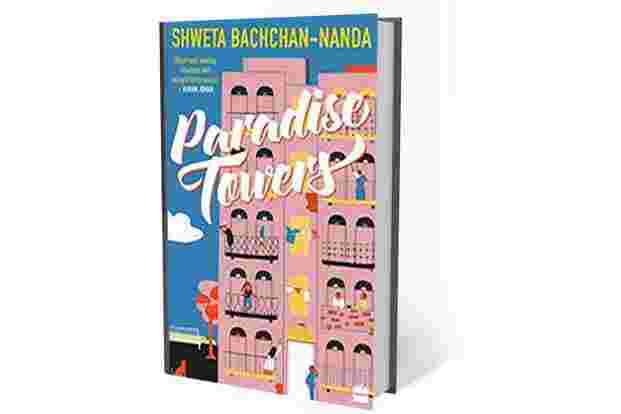 No such silver lining, alas, graces (the other celebrity with a Bollywood connection and also a columnist) Shweta Bachchan-Nanda’s debut novel, Paradise Towers, out from HarperCollins Publishers India this month. Set in an apartment building in Mumbai of a certain vintage, unlike the new-fangled high-rises dotting the city, her story revolves around the lives of the residents. If the demographic is carefully inclusive—Bengalis, Gujaratis, NRIs, Muslims—the characters faithfully conform to every cliché associated with the communities. The Bengali man is uxorious, with a weakness for food, his wife is a stentorian killjoy, and their daughter is, of course, a bookworm, who transforms into an angel when she drapes a sari and forgets her spectacles. An elderly lady spends her waking hours spying on her neighbours with binoculars and tormenting her “Man Friday" until her sudden demise. She has a talking parrot to boot. Bachchan-Nanda demonstrates the unique talent of turning a bird into a cardboard character. The Gujarati family features a woman who can’t stop stress-eating and fretting over her weight. The NRIs are loud and gregarious, with four excitable boys. The Muslim couple has five children (but of course), only one of whom is relevant to the plot because (you guessed it) she triggers an inter-religious marriage. A mysterious couple stays aloof from the community and is later revealed to have a suitably murky life. And finally, there are the “staff", who give one another the glad eye, filch money from their employers, and circulate salacious gossip. Paradise Towers doesn’t work either at the level of plot or repartee. For the most part, Bachchan-Nanda’s prose is slumped across the pages like dead weight, reading more like jottings towards a novel than a fully realized book. Her characters don’t talk to one another often, instead we get pages of lifeless descriptions. When they do speak, they seem to stick to platitudes from Sooraj Barjatya family dramas. At least in the latter, there are enough songs to keep us entertained.